When it comes to the phones that Google will announce at its big event on October 9, we already know pretty much everything there is to know about them (aside from pricing information, that is). But these shindigs have in the past yielded more products being unveiled than just handsets, and it looks like this year will be no different. 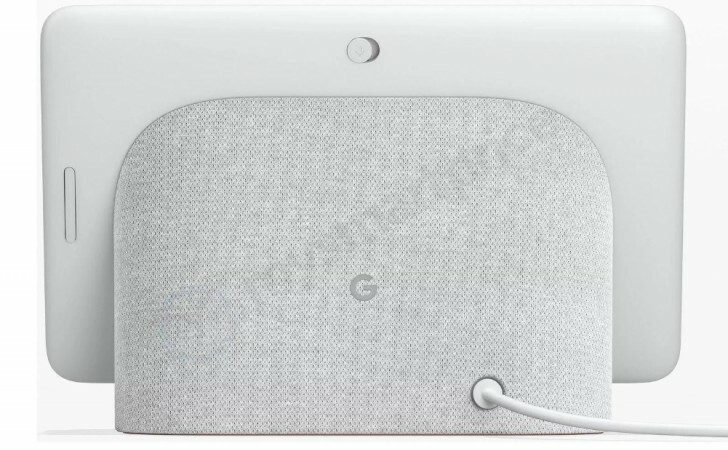 Ladies and gentlemen, meet the upcoming Google Home Hub. It's a 7-inch smart display, preparing to enter a nascent market already populated by the Lenovo Smart Display and the JBL Link View. The Google Home branding isn't a mistake - think of this basically as a smart speaker with a display slapped onto it. Oh, and definitely don't think about it as an Android tablet with a smart speaker attached. The company's smart display platform doesn't allow for apps to be installed or any such thing. It's just another portal for the Google Assistant to live in. So you'll be able to talk to it like you would to a Google Home, but unlike smart speakers, on such a smart display the Assistant will obviously also be able to show you things. If you integrate it with a Nest Cam, for example, you can ask the Assistant to show you what your front door camera is currently seeing, and it will do that. You'll get visual feedback, on the screen, for other things too, such as when you ask the Assistant to add appointments to your calendar. Another use case would be asking it to play something from YouTube, or wanting to see your vacation pictures. Naturally it will also include all the functionality found in the Google Home, Home Mini, and Home Max smart speakers. In terms of looks, it definitely feels like it's part of the same family, with its aesthetics and design. It will be offered in Chalk White (pictured in this leak) as well as Charcoal (a darker grey). Connectivity-wise, you get dual-band Wi-Fi and Bluetooth. There are ambient light and color sensors near the display, and the Home Hub weighs 480g. The main thing it lacks is a camera, oddly enough. Google is apparently readying 3 million units for sale in the first production batch, so the company seems pretty certain this will be a success. And with a rumored $149 price, that may not be out of the question. For comparison's sake, remember that Lenovo's 8-inch Smart Display costs $199, while JBL's Link View goes for $249. 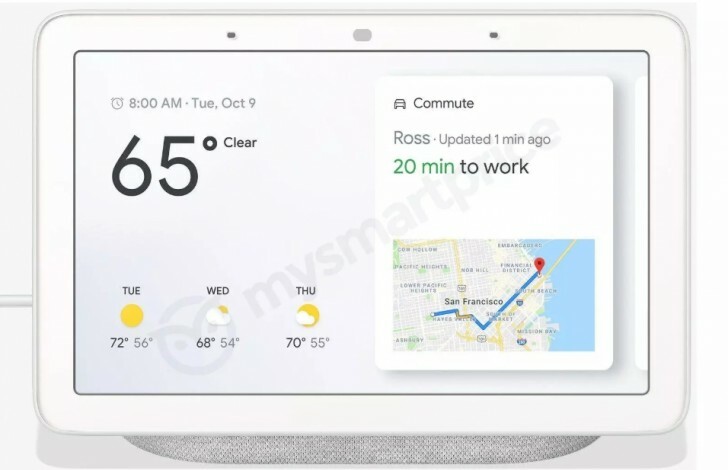 I hope, somehow this Google Home smart speaker system, will revive the dormant Android tablet market. If Google Home Hub cannot "spy" on us, it will "record" our conversations and send these data to NSA & NWO for verification of what is allowed and what is not. Orwellian Society is here folks.